The part number is unique for every lens design. Special requests with changes to catalog lenses are assigned a new part number, so repeated purchase with the same specifications is easily possible. The complete part number consists of a 5-digit lens type declaration (e.g. 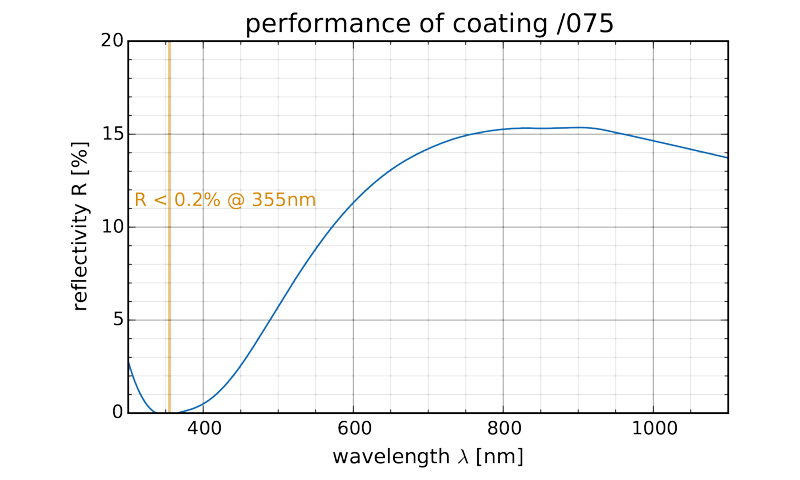 S4LFT = f-theta lens), a 4-digit design identifier number and a 3-digit wavelength and coating specification. Sill reserves the right to make constructional changes in the course of product improvement. 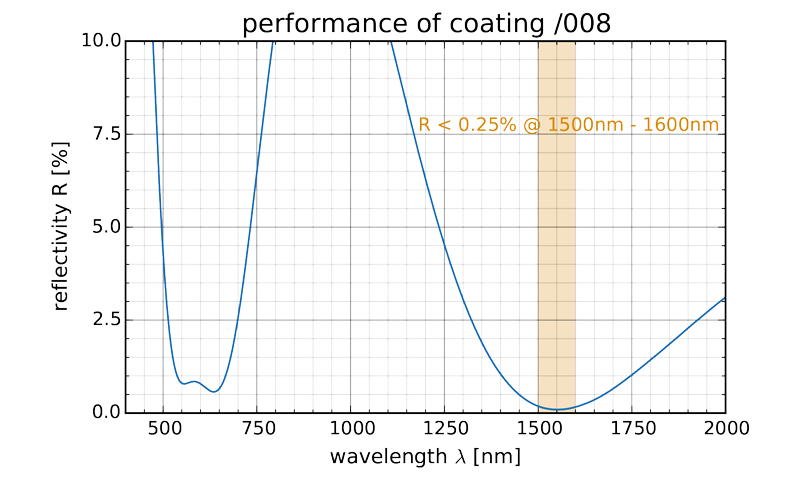 Our anti–reflective coatings are optimized for a certain wavelength or wavelength ranges. They allow a high transmittance of the laser light and less absorption of energy in the lens for specific wavelengths. 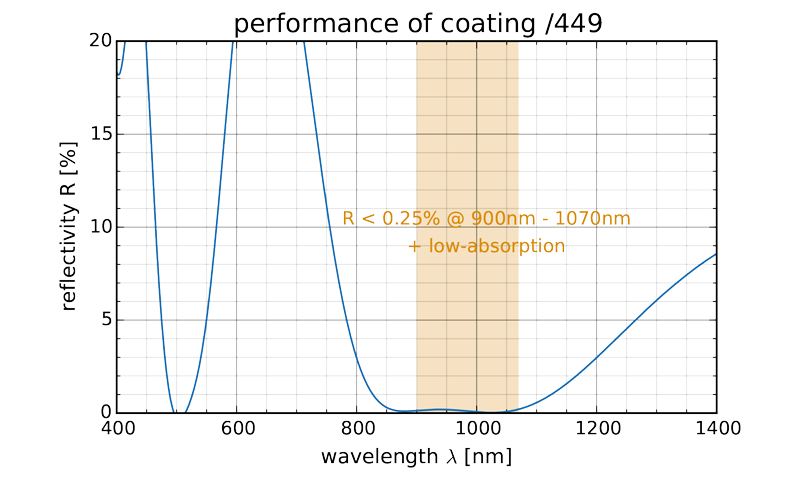 Low–absorption coatings are recommended for lasers with a high peak power, as they minimize thermal effects. These coatings are only available for fused silica lenses. Beside our standard coatings we also offer customized coatings. 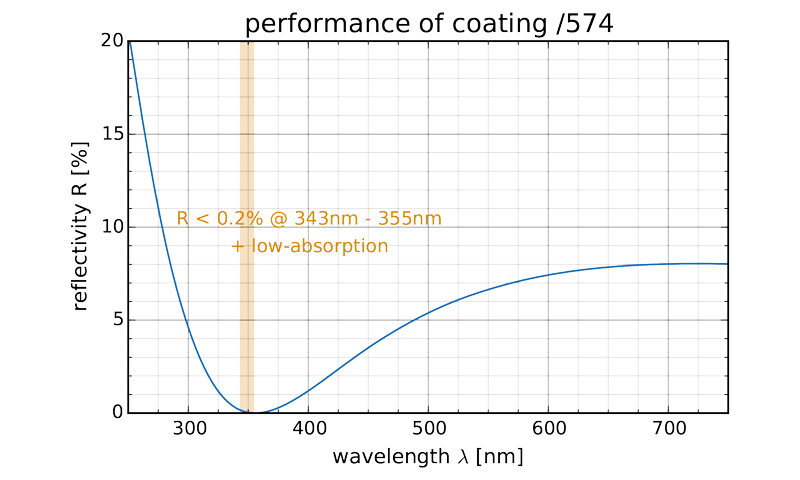 In the following table the LIDT (laser induced damage threshold) can be found for our coatings and are measured at 355nm, 532nm or 1064nm respectively. The used Laser had a pulse duration of 1ns at a pulse frequency of 50Hz. For detailed information about damage thresholds, plaese refer to our extra lexicon chapter about LIDT. 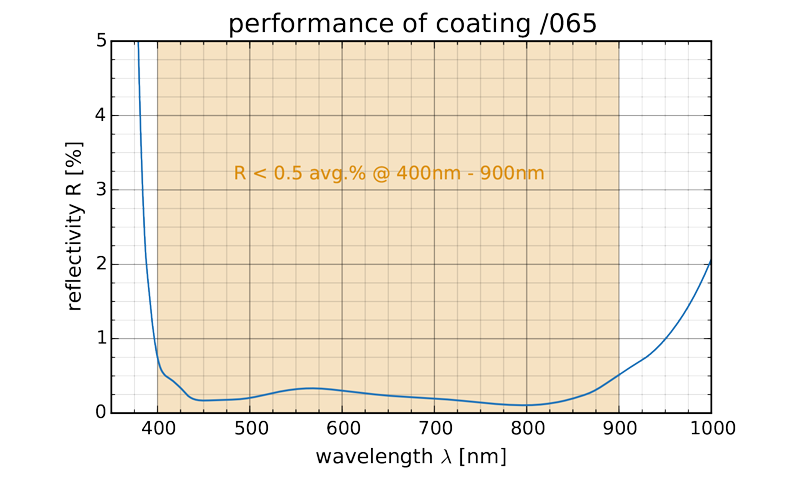 /065 anti-reflective + broadband 400 - 900 nm, R < 0,5% avg. 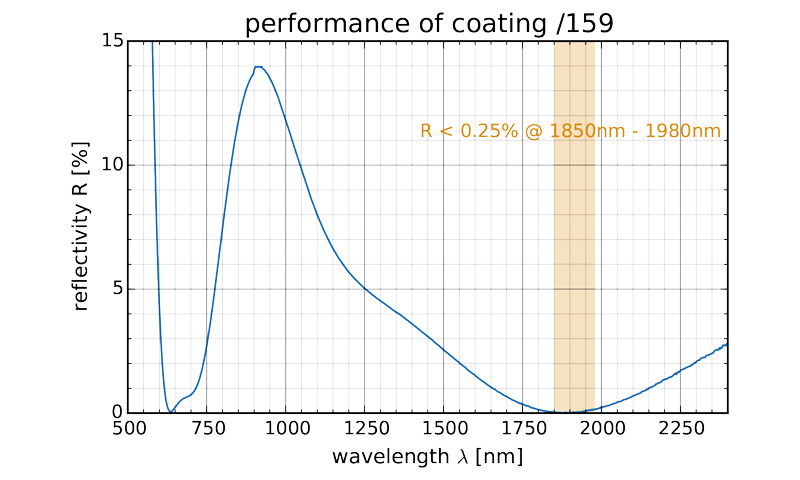 The following coating curves show measured reflections of our typical coatings per surface. 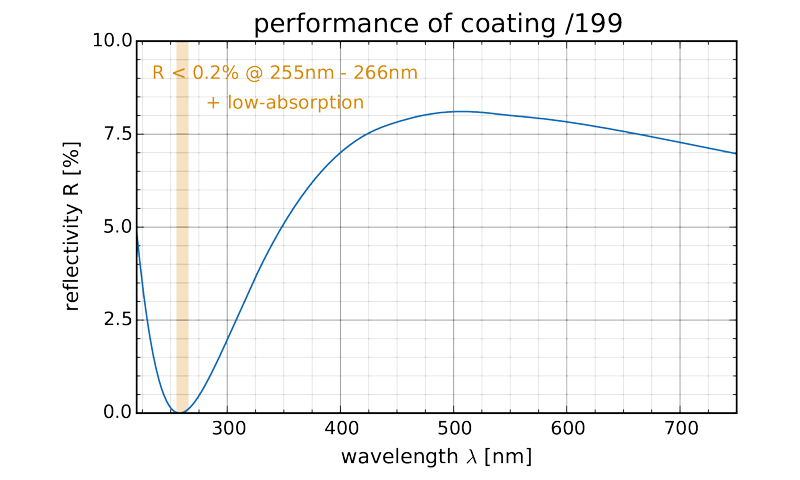 If the transmission through a complete lens is of interest, the reflection value at the specific wavelength has to be multiplied with twice the number of lens elements (each element has two surfaces) and then subtracted from 100%. The number of lens elements can be found on the datasheets. 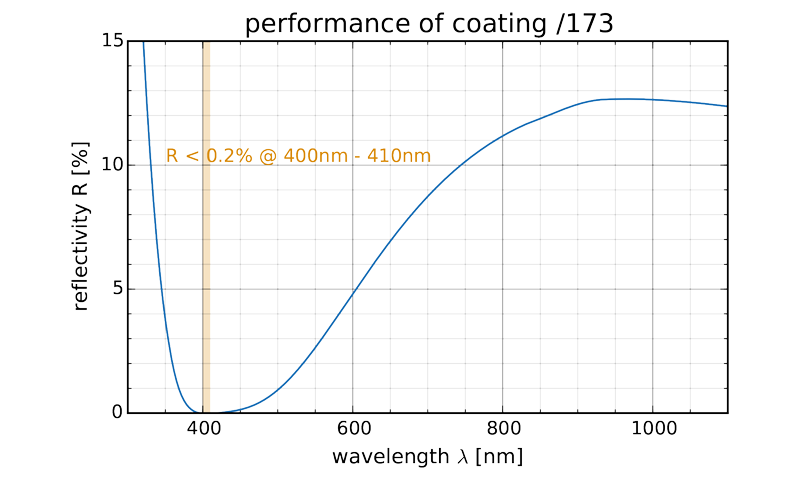 All optical systems, especially the coating of the lenses, are designed for a special wavelength or wavelength range. The specifications are demonstrated for a single wavelength and can deviate for a different wavelength in the wavelength transmission band. 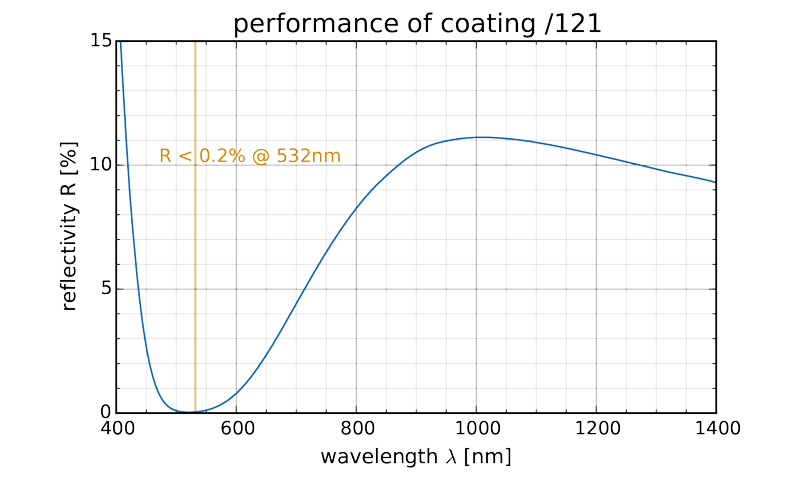 For the S4LFT4010/292, the specifications are declared for 532 nm but it is possible to use this f-Theta objective in a wavelength range from 515 nm to 545 nm without concern. New material processing lasers, with high beam quality and with average powers in the kilowatt range can induce thermal focal shifts which will defocus the laser spot. 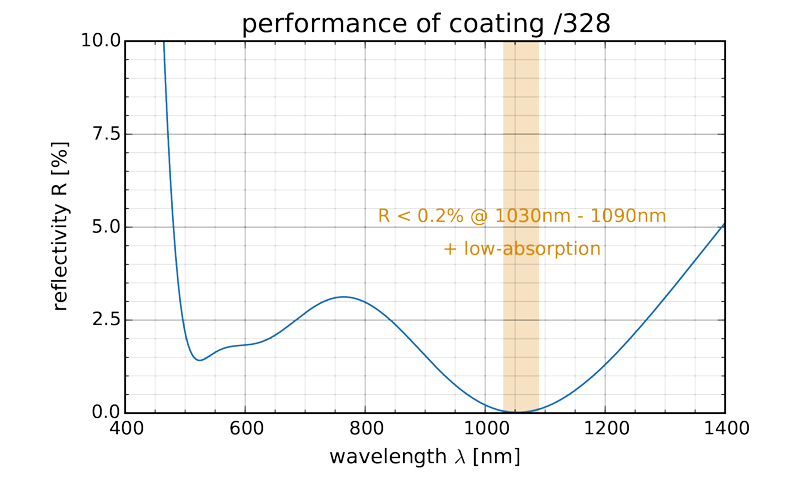 A solution to reduce this effect, is to use only lenses made of fused silica in combination with low - absorption coatings. As an example, a simple system like a fiber collimator combined with a focusing lens creates a thermal focal shift of approximately one Rayleigh length for a laser with one kW average power. Rayleigh range is the distance along the propagation direction of a beam from the waist to the place where the area of the cross section is doubled. For ƒ-theta lenses which are not only made of fused silica this value will increase dramatically. The working distance is defined as the distance from the front most mechanical edge of the lens to the focal or scanning plane of the objective. Be careful to not mix this up with the effective focal length (EFL) of an objective. This is measured from the principle plane, which is a hypothetical plane were the refraction of the complete lens system can be assumed to occur, to the focal plane of the optical system. 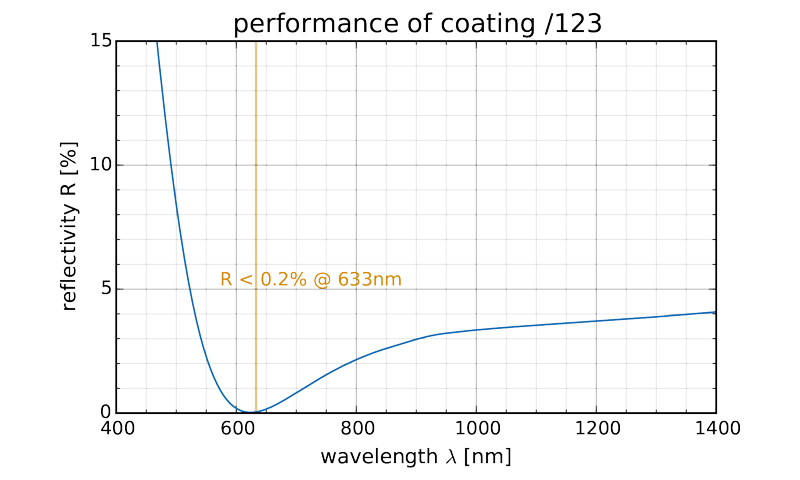 The ability of focusing laser light is defined by ISO standard 11146 and is described by the diffraction value M². This parameter is defined as the ratio of the divergence angle of the laser beam as compared to the divergence angle of an ideal Gaussian beam. 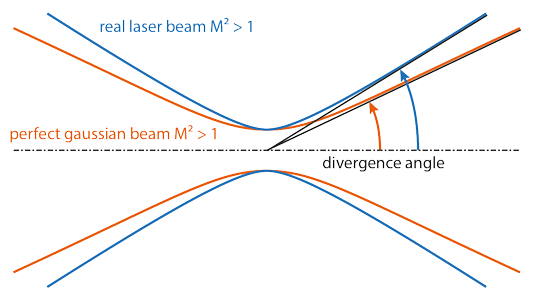 An ideal Gaussian beam would provide the smallest possible focus diameter and would have an M² value of 1. Sometimes the quality of the laser beam is also described by a parameter K which is the reciprocal of M². The quality of a fiber laser is often defined by the Beam Parameter Product (BPP). This value is given by the product of the diffraction value M² and the wavelength λ divided by π. Sill assumes an M² values of 1 in all statements about spot sizes. Multiply the spot diameter by the actual laser M² value to obtain an actual spot diameter. The beam diameter is referenced to the drop of beam intensity to the 1/e² point, i.e. to a point where the intensity has fallen to 13.5% of the peak intensity. If the beam diameter is cut at that point, the 13.5% of the total intensity would be lost. Typically, laser beams are confined to not less than 1.5 times the 1/e² diameter to minimize losses below 1%. The beam shape and focused spot size after transmission through a lens is strongly dependent on its entrance profile in comparison to the entrance pupil. A common description is given by the truncation ratio T, which is the entrance beam diameter dL divided by the clear aperture dEP. Typical examples are shown in the following sketch: Below a ratio of 0.5, the beam is approximately untruncated. 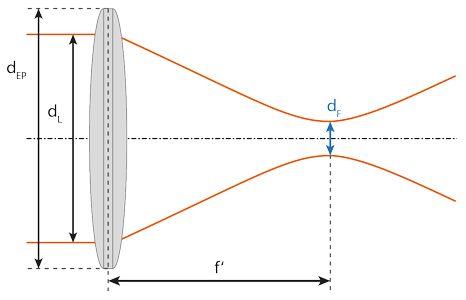 When the entrance beam diameter at 1/e² is equal to the clear aperture of the lens, T =1. 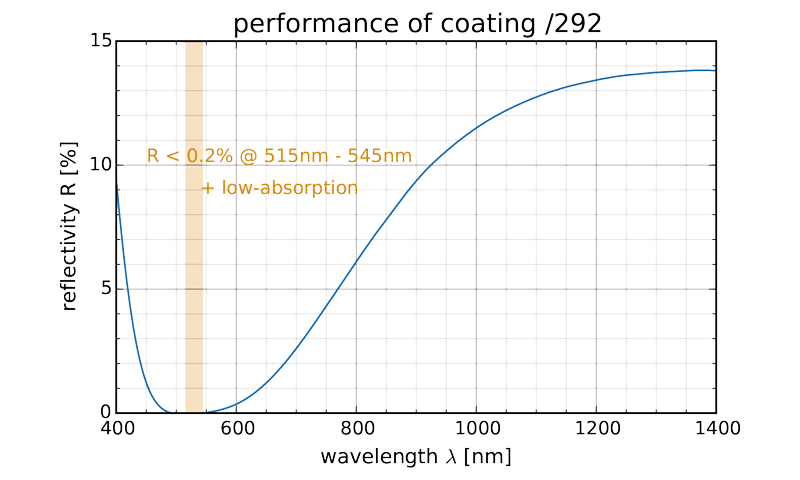 Typical applications are located in between those values, as a compromise between low intensity losses or small spot sizes and high costs due to large diameter lenses. When estimating the spot size of a diffraction limited lens, an additional apodization factor (APO) is needed. Its dependency on the truncation ratio T is shown in the following graph. The APO factor includes a dependency on the intensity distribution at the confining edges, where diffraction effects take place. Assuming a Gaussian beam, which is much smaller that the clear aperture, very few parts of the beam experience diffractive effects. By comparison, a Gaussian beam vignetted at the 1/e² beam diameter has larger portion of the beam influenced by diffraction. 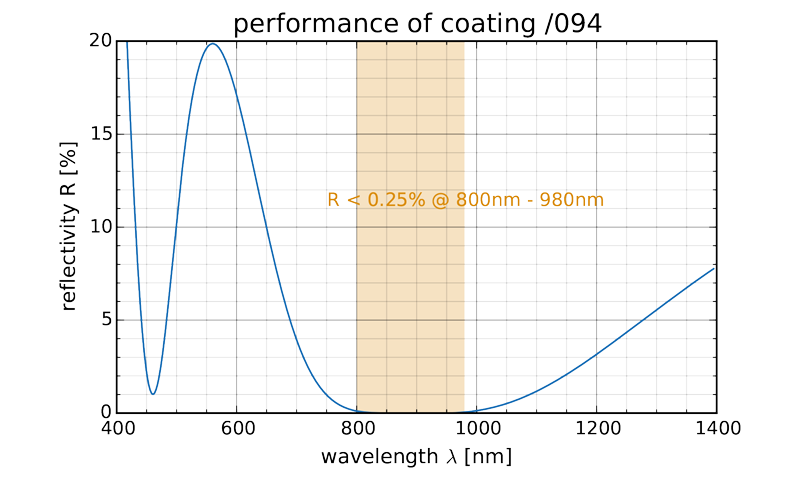 The minimal adjustable focal spot size is calculated by the wavelength of the laser multiplied with the focal length of the scan lens, the APO factor and the diffraction parameter M² of the laser divided by the 1/e² beam diameter dL. 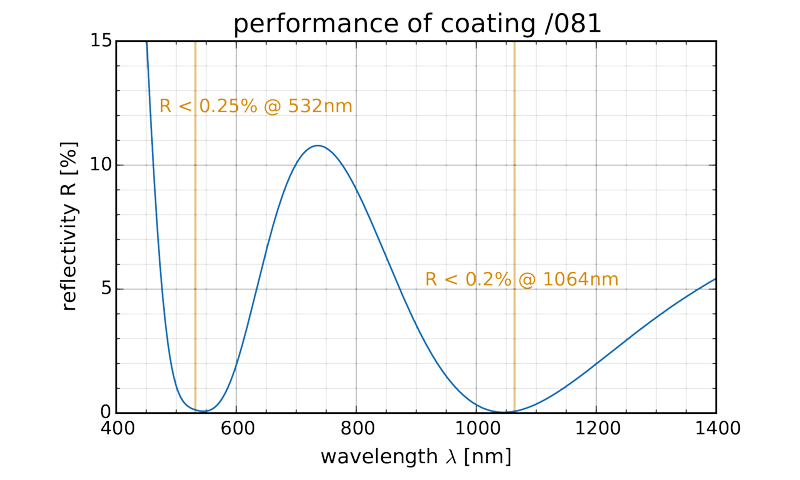 In this example, the focal spot size will be calculated for a Gaussian beam with dL=6.0mm and dL=10.0mm. We assume the use of a f-theta lens S4LFT4010/292 with a frequency doubled Nd:YAG laser at 532nm and a diffraction value M²=1.2. The lens has an effective focal length of f’=100.0mm. Another very important value to determine in addition to the truncation ratio T, is the clear aperture or entrance pupil. This is not the clear aperture of the f-theta lens (Ø35mm), but typically the limiting factor is the beam entrance diameter or aperture of the scan system. Assume a very common value of dEP =10mm in this case. In optics and especially laser science, the Rayleigh length or Rayleigh range is the distance along the propagation direction of a beam from the waist to the place where the area of the cross section is doubled. 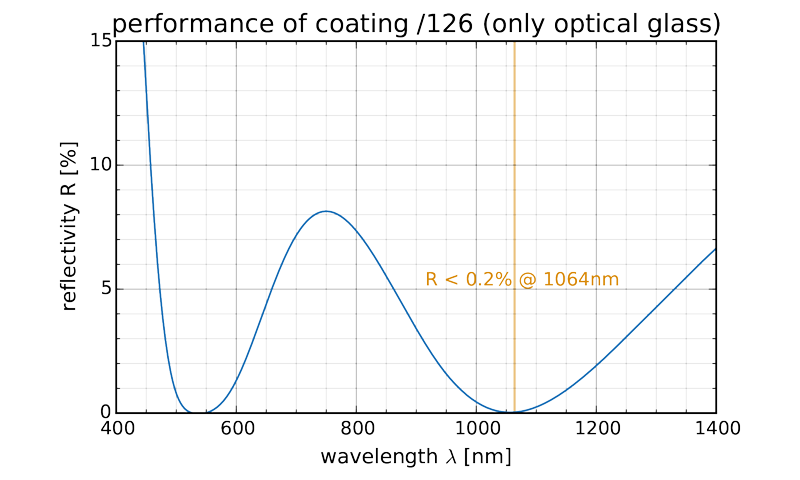 The Rayleigh length is calculated by the focus area multiplied by a factor (depending on the APO-factor) divided by the wavelength and the diffraction value M² of the laser. 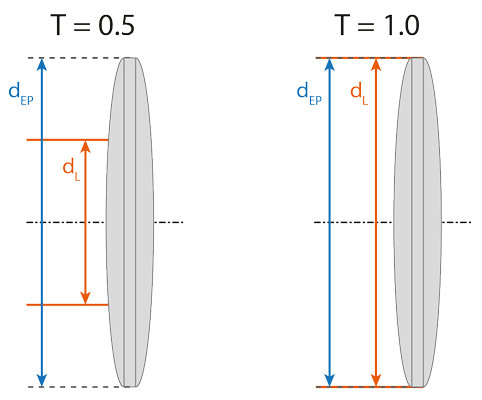 The depth of focus of the scan lens can be estimated by a doubled Rayleigh length. Be aware, that this is just a rough estimation and in many modern applications this value can be too large to still fulfill needed spot diameter requirements.